Summer is a breath away. A close, warm, and possibly humid breath. Bedrooms get so stuffy in summer, don’t they?! At a time of day when I want to sleep comfortably on cool sheets, windows open, crickets chirping, I get restless sleep and wake up to close the windows and turn the AC on. Crabby? You got it! Measure your bedroom corner, to corner, to corner, to corner. Check out Madison Lighting on Instagram, Pinterest, Facebook and Houzz if you need inspiration. Tons of great ideas there. 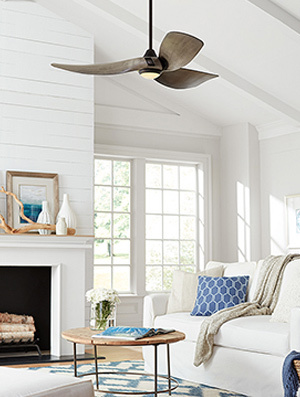 Take a look here to start wrapping your head around how to pick the right fan for your space so it really moves the air to provide comfort and saves you money. And this is important though many customers find it a bit of a snooze. Shop MadisonLighting.com/fans or come and see us at the showroom on Watts Road in Madison for more personal service. You can even call us for an appointment at 608.271.6911 and avoid the wait! That’s it. The simple way to cut through the confusion of buying that new appliance we call a ceiling fan that leads to blissful sleep while listening to crickets. Built to run 24/7/365, quietly making your life better.